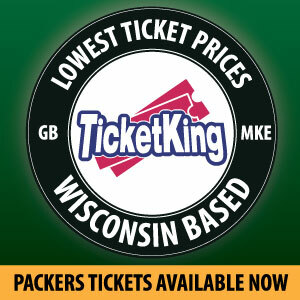 Last week Green Bay hosted Seattle in a potential playoff preview. Green Bay’s defensive line lead by Mike Daniels destroyed the worst offensive line in the league and clamped down on Seattle’s offense. Aaron Rodgers and the offense took a while to get in rhythm after an interception on the opening drive and difficulty moving the ball but were able to dominate the time of possession and put enough scoring drives together to win 17-9. While Green Bay’s defense will have a significantly more difficult task this week, Green Bay’s offense should have a much easier time. Seattle very likely will end up in the top three overall for total defense this season (they finished fifth last season and added Pro Bowler Sheldon Richardson), Atlanta ended last season ranked 25th in total defense. While last week the Bears were not able to do much versus Atlanta’s defense I expect the Packers to move the ball with relative ease. The biggest key though will be getting Ty Montgomery involved early and often as keeping Atlanta’s offense sidelined will be the best defense played in the game. If Green Bay can establish the run early and Rodgers convert on third down that will go a long way in helping them upset Atlanta. I am curious to see if Rodgers will successfully draw Atlanta defensive lineman off-sides for free plays as I expect the crowd in the new Mercedes Benz stadium to be deafening making the hard counts difficult to hear. If Rodgers can generate some free plays they should result in a lot more large gains than versus Seattle as the Falcons corners may not have the awareness to cover on the fly leading to multiple broken coverage opportunities. Regardless, Jordy Nelson and Randall Cobb I expect will each have good games again. Cobb in the slot will likely be Rodgers go-to on third downs again just like last week and I expect he will more often than not beat his coverage to get a first down. 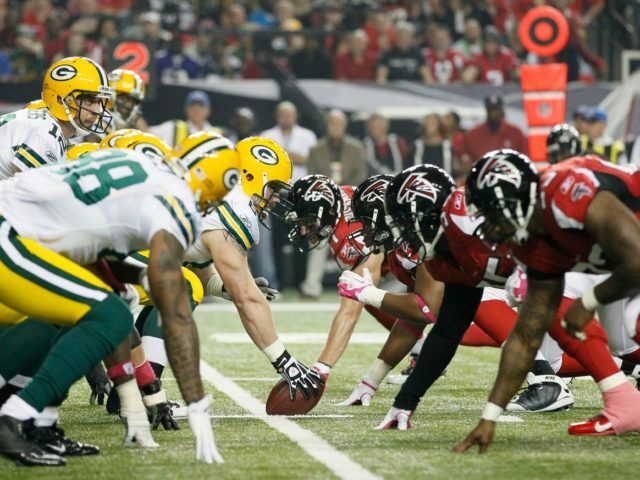 The Packers may not have the explosiveness offensively that the Falcons do but if they can minimize penalties to keep drives going they should keep the pace with them. Last week Green Bay’s defense looked Super Bowl worthy against the Seahawks but this challenge is in a whole other realm. Last week Mike Daniels was relentless and caused quick pressure on Wilson creating multiple errant throws and sacks. However, watching replay from other camera angles on some of those disrupted plays you could see Doug Baldwin was getting open and creating separation from the corners. Packers fans certainly remember last season’s coverage issues and the offseason signing of Davon House after him being cut by the Jacksonville Jaguars was not alone going to fix it. On the flip side we do not know exactly how good the corner play will amount to be this season so a bounce back year from corners Demarious Randall and Quintin Rollins is quite possible, but until I have seen them play well versus stronger competition I will remain skeptical, especially versus last year’s most prolific offense in the NFL. The Packers must apply pressure at the same rate as they did last week to have a chance of slowing down this offense, and that is not necessarily a simple task. Pro Football Focus rated Seattle’s offensive line dead last in the NFL which is something no fan or analyst would disagree with. Atlanta came sixth overall in those rankings and will do considerably better blocking in general Sunday. In conjunction with consistent pressure star wide receiver Julio Jones will need to be double covered preferably by Packers safety Ha Ha Clinton-Dix. In the NFC championship Jones dominated the Packers snagging nine catches for 180 yards and a pair of touchdowns. Falcons quarterback Matt Ryan is the reigning MVP so while he will not be rattled by not having his favorite target the rest of the Falcons options will do less damage than what Jones will do if left in single coverage. Muhammad Sanu historically has done very well against Green Bay but the Packers must cover him with single coverage and whoever is assigned to cover him will have to play up to the task or else Matt Ryan will find a lot of easy first-down conversions. The Packers will need significantly better coverage on Julio Jones this time around. The one thing the Packers did do well defensively in the title game I expect to carry over again which was their run defense. Atlanta as a team was held to 3.4 yards per carry in the game and I expect Atlanta to be forced into being one dimensional again. 79 degrees with clear skies. Atlanta will be playing with the roof of their new stadium open and it is also projected to be a bit humid so there may be some cramps especially along the line of scrimmage. The Falcons will have a jazzed up crowd for Sunday Night Football as this will be their first game in the new Mercedes Benz stadium. Green Bay comes in the underdog having been blown out 44-21 in the NFC title but I doubt that either team is going to be running away with this one. This game has all the makings of a shootout, but the gap between the talent of Atlanta’s receivers and the Green Bay secondary is much higher than the gap of talent with the Green Bay receivers and the Atlanta secondary. I think Atlanta wins 38-34. This entry was posted in Early Bird Breakdown, Stuart Weis and tagged Aaron Rodgers, Atlanta Falcons, Green Bay Packers, Jordy Nelson, Julio Jones, Matt Ryan, Mike Daniels, Randall Cobb, Sunday Night Football, Ty Montgomery. Bookmark the permalink.